For over 85 years, Dura-Fibre has been manufacturing strong, attractive, money-saving laminated paperboard products for our customers. 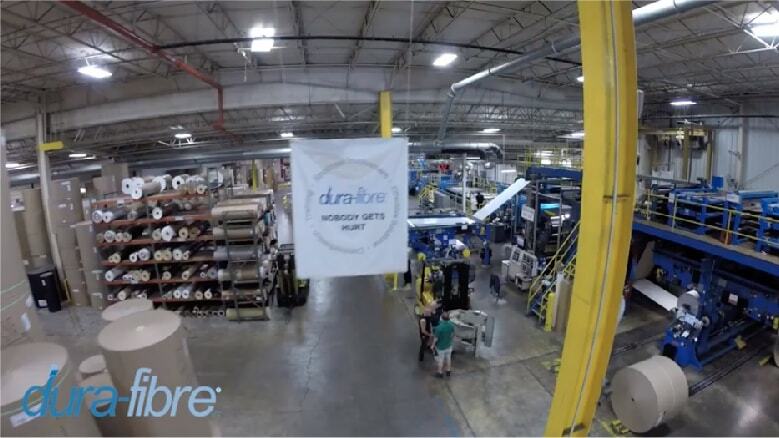 Dura-Fibre combines decades of paperboard manufacturing experience with a 125,000-square-foot facility in Menasha, Wisconsin. We offer best-in-class laminated paperboard products created with industry-leading equipment. To create customer paperboard products, our experienced team first works to understand your goals and needs. We design your products using top-quality high-strength paper to make a thick and strong laminated paperboard with no wasted space or material. Our in-house design lab tests your products for strength, durability and water resistance to ensure it holds up to your end-use requirements. Once our testing is complete, we’ll provide you with samples, allowing you to see, touch and try your new product in person. Once you’ve approved the samples, we’ll provide you with a final version, which you can test in the field to make certain it checks all your boxes. After you’ve tested your product, we’ll work with you to arrange production and shipping, based on your short- and long-term needs. Dura-Fibre understands the value of customer service. We combine our top-quality products with on-time delivery, reliability and unique and customized solutions. Looking for a packaging solution that is tougher than cardboard and lighter than wood? Let’s talk.